Check Andrea's Bed and Breakfast on Facebook for updates of Niagara Falls events. Andrea suggests using this Guidebook when visiting Niagara Falls. You will be able to walk, ride the WEGO Shuttle Bus or take a Tour from Andrea's Bed and Breakfast. The Majestic Falls is on the border between Canada and United States and is equally shared by the Twin Cities "Niagara Falls, Canada and Niagara Falls, New York". My B&B is located on the Canadian side one house up from the River Road on Simcoe Street between the Whirlpool and Rainbow Bridges. I am about 5 minutes from the Bus, Go Transit & Via Rail Train Stations, Restaurants and Shopping at Old Downtown, Queen Street. The WEGO Shuttle is located near my B&B. Enjoy a 20 minute breathtaking walk along the Niagara Parks Whirlpool Gorge to view the Canadian Horseshoe Falls, American Falls & Bridal Veil Falls, Clifton Hill and Casinos. * Check out Downtown Queen Street for mouth watering restaurants and Live entertainment. Plan your Vacation to include, the Hornblower Cruise, touring the Niagara Parks by Bike or WEGO Shuttle Bus, Hiking along the Bruce Trail, Horseback Riding, Horse & Carriage Rides, Golfing, Winery Tours, Helicopter Ride, Historic Forts, Whirlpool Jet Boat, Museums, Marineland, Skylon Tower, Botanical Gardens, Bird Kingdom or attending our many Theatres like the Seneca Theatre, Fallsview Casino Avalon Theatre, Greg Frewin Magic Show, Oh Canada Eh? & Shaw Festival. *Pickup at B&B: Wine Tours in Niagara plus Free taxi to Casa Mia Ristorante. 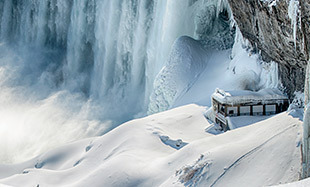 Niagara Falls Wonder Pass Valid from November 5, 2018 to April 15, 2019. Children aged 5 and under are free when accompanied by a paying adult. Save up to 60% on top Niagara attractions!